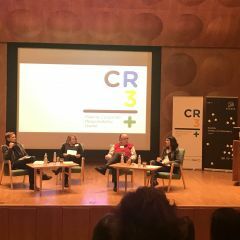 Last week, Audencia Business School proudly hosted the EuroMBA residential week on Corporate Social Responsibility (CSR) under the motto of “Leading responsibly toward a sustainable future” that was addressing in a coherent and holistic way prevalent issues of CSR. The focus was on how responsible leadership, both, by individual managers and firms, can shape a sustainable future for the people and the planet. 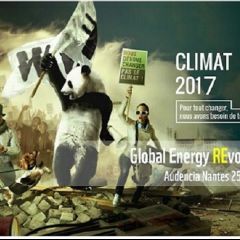 Audencia Business School decided to focus the content of the one-week residential program on the sustainable development agenda the world has set itself at the beginning of 2016. 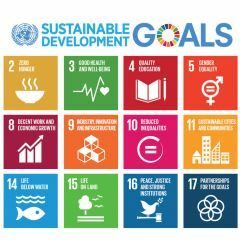 The UN 17 sustainable development goals (the SDGs) provided the main framework for discussing questions and challenges of as well as implications for responsible leadership. It enabled participants to derive a learning experience linked to both, personal and professional growth. 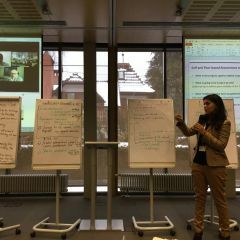 Earlier this year, our faculty started designing the content of the program and reflecting how to best deepen the participants’ learning experiences by applying both their new insights and motivation as a responsible leader, and the deeper understanding of the professional challenges and opportunities around sustainable development to tackle SDGs through social innovation. The week started by watching and discussing the short films from Festival le Temps Presse on SDGs. Furthermore, as a team project for the week participants merged their ideas with others to develop a business plan for a new social entrepreneurial venture. Specifically, as teams of entrepreneurs that embark on a journey of personal and professional development to become responsible leaders, our EuroMBA participants set themselves the task to design a new entrepreneurial venture that proposes an innovative solution to help addressing one (or more) of the SDGs. During the whole week experienced scholars and professionals assisted and guided them in preparing their social entrepreneurial venture.